We received thousands of messages since Flytrippers was launched, and one of the most frequently asked questions was: “why don’t you have more domestic flight deals”? The answer is pretty simple: up to now they were quite rare. Yes, sometimes there can be good deals on certain Canadian routes on our cheap flight deals page, but honestly even then it’s still expensive compared to other destinations. In 2015, a study on the cost of air travel around the world ranked Canada 130th out of 138 countries. Another study by Kiwi evaluated the average cost of domestic flights at $39 / kilometer in Canada, compared to $10 / kilometer in the United States. Why? There are many reasons that explain this whole phenomenon. So in honour of Canada Day coming up this weekend, here’s an overview of the complex reasons behind the very high price of airfares in Canada… and what you can do to travel throughout our beautiful country without breaking the bank. There once was another major player in Canada: Canadian Airlines. Canada has a very small population and there isn’t enough demand for as many different airlines as other larger countries. For example, in the US many many airlines compete with each other on domestic flights. 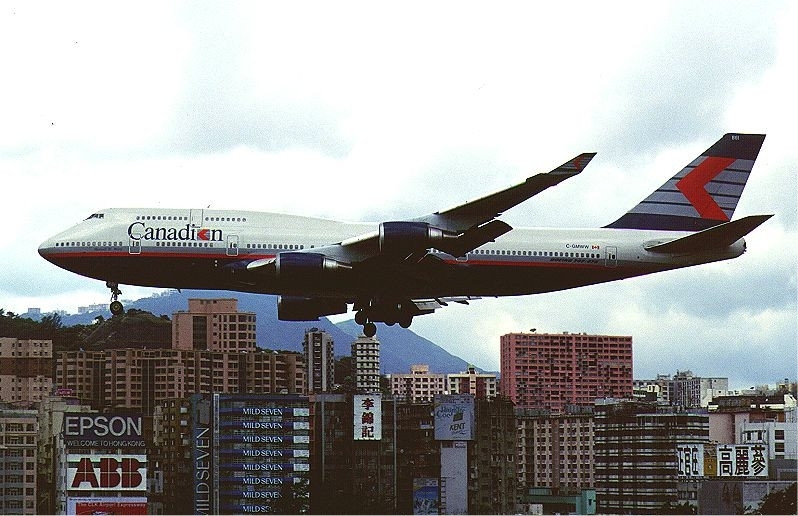 In Canada, there are essentially only two main players on the vast majority of domestic routes (there was once another large player, Canadian Airlines, but they were acquired by Air Canada in 2001). It’s also true internationally: Air Canada is the only Canadian international legacy carrier for now, although the good news is that WestJet plans on competing internationally soon enough, once they get their brand-new long-haul airplanes in 2019. READ ALSO: Air Canada or WestJet? Which airline is the best? This lack of competition means there is definitely less incentive for airlines to cut prices on Canadian flights. It’s a basic economic principle. Also, Canadian laws keep foreign airlines or investors from owning significant shares in Canadian airlines or financing new ones, which limits the available capital for current or new airlines. As of recently, the cap on foreign ownership was at 25%, which was quite restrictive for a country whose capital market isn’t that big globally. The federal government just upped that to 49% in May, that is a great first step. Canadian airlines also have cost structures that are a bit more expensive: labour costs, fuel and administrative costs are higher than in the US for example (although some of that is related to the following point). Ultra Low-Cost Carriers (ULCCs) are one of the greatest things to have happened to the commercial aviation industry, as this business model has driven down prices everywhere in the world where it has been launched. For the longest time, Canada was one of the only major countries without one. But that has changed very recently, with 2 now flying and another launching next year. We were on Swoop’s inaugural flight last week, and as promised tomorrow we will continue the ULCC theme with an exhaustive overview of ULCCs in each Canadian city, don’t miss it! Their prices aren’t as low as other ULCCs around the world (especially Europe), but for the reasons cited in this article, we can’t expect $20 flights to be as common as elsewhere (although Swoop did sell some tickets at a $0 base fare, more on that too tomorrow). Basically, we’ll have gone from 0 ULCCs to 3 within a short time frame and that only means one thing: lower fares for Canadians. Will all three survive? I am not sure it will last long, maybe both smaller startups will end up joining forces to form a stronger competitor to WestJet’s ULCC, since WestJet has considerably more means (and experience). If I had to guess, that’s what I’d say will happen, but that’s still a while away. Let’s see how all this affects airfares in Canada first. One of the main reasons for our high prices are taxes. Rent and taxes on airports themselves are much higher in Canada than in most other developed countries. Obviously, they have to pass on those costs to their customers (airlines), who have to pass them on to their customers (travelers). Whether the full cost or only a portion is passed on is besides the point: the fact is, it definitely increases the final price, even though some will try to pretend it’s not true..
A few years ago, a report by the Canadian Senate compared airfares from Toronto and Buffalo, two cities relatively close to each other, but on different sides of the border. For the same destinations, the flight price in Canada included 43% in taxes, compared to 15% in the US. It’s only one example, but if you know a little about airfares, you know that all the various taxes are much higher on a Canadian ticket. Terminal at Pearson. Photo Credit: Toronto Pearson Airport. In the aviation world, there are what we call Open Skies Agreements. These make air travel between countries easier to set up. Again, the more offerings we have in Canadian airports (different airlines competing with each other), the lower the prices will be. Open Skies Agreements, as their name suggests, remove restrictions on air travel in the country. But Canada only has such agreements with 18 countries… compared to 120 countries in the US. So of course, by limiting foreign airlines, the offering is reduced… and prices are higher (economics 101). Even though I am personally very critical of staggeringly high airfares in Canada, to be fair, it’s not all their fault. Many structural factors that cause these high airfares are out of the airlines’ control. Canada is a vast country with such a low population density, some fixed costs will always be higher. Serving many small markets with little volume also doesn’t help. That being said, airlines know that Canadians are used to paying high airfares… so once again, as said in point 1, the incentive to lower the prices is low. And if a business can charge high prices, it wouldn’t be good management not to charge high prices. Here are a couple of tips to save money on Canadian flights and if you want to avoid our high airfares. Okay, this one isn’t a real tip, but still. It’s the best way to save. It’s ironic to suggest this as we approach Canada Day, but it is true that often you’ll get more for your money going literally anywhere else. Flights from Toronto to Hawaii are often cheaper that Toronto to Vancouver, even though it’s twice as far (more on that in a fun article Saturday). So you might want to consider going out of the country if you really want to get better value for your hard-earned travel money. Even if on a per-kilometer basis you’ll end up paying more by flying within our own country, we do still find good flight deals on some Canadian destinations on our cheap flight deals page. Discounted dates in our deals are often 50% off, that’s always the best way to save. And if there’s no deal, the same basic rules for finding cheap flights always apply: be flexible with your dates and find the cheapest dates for your destination… and always compare prices on dozens of booking sites to find the lowest price. We’ll also be sharing many many more pro tips on this blog to help you travel more and save on flights, so subscribe to our free newsletter to make sure you get them all. Again, tomorrow we’ll share much more details on how you can use ULCCs in your city and which specific routes are available to you, but learning how their model works is the key to traveling at a low price. Learn to pack light and to forego the perks: I flew on 65 flights in 2017 and I could’ve never afforded to visit 18 countries if it wasn’t for ULCCs. They are now in Canada, and you can save hundreds by going the no-frills way. This is especially important if you want to fly within Canada. Taking up travel hacking will help you save a lot of money. Start earning miles and points to get free flights. It’s quite simple, I’ve been doing it myself for many years, and I get nearly $1,000 a year in free travel. Yes, free. You can read our intro on that here, and we’re currently developing a lot more content to beef up our travel hacking section very soon, stay tuned. In the meantime, you can check out the best credit card offers in Canada. Just to give two examples, currently the RBC Avion Visa gives you $250 completely free as a travel credit applicable to any flight. The American Express Gold isn’t free, but for $150 you get 30,000 Aeroplan Miles. A flight anywhere in Canada will cost you just 25,000 plus about $200 in taxes. Still a great deal compared to a $700 flight across the country right? Here’s why Canadian airfares are so expensive! The good news is it can only get better (and it will thanks to ULCCs). Any questions? Previous PostWhich Day of the Week is the Best to Buy Flights and Fly On? Next PostDid You Know? You Can Fly To Val-d’Or, Quebec… Or To Hawaii For The Same Price!